What is it with everyone forcing labels on others and to an extent themselves? Living an authentic life, one where you are just doing you, is really the end game. We are all such diverse mixtures of so many facets of life. Some people have to identify with a label. It’s how they deal with trying to fit in. Some will work that label for life, others change their labels like the flavor of the month ice cream shop. When curvey and I got into fixing our lives, we got honest with ourselves and each other. We examined what makes each of us tick. We thought outside the box and really explored all the labels out there. I remember telling a friend that curvey had a chunk of Little in her. He told me, “Oh, don’t let her be a little.” In his eyes I guess that was 2nd class or something. I laughed like hell. How can I tell her who to be? I can tell her how to move in bed, I can tell her how I want her to please me, but tell her who she is or isn’t inside? Her telling me about her little flavor went miles towards explaining her past behaviors. How great had I known this when we first met? It would have explained a lot and allowed me to understand her better. How differently would I have handled her idiosyncrasies, her fears, her loves, her joys? So as we journey along, we find aspects of ourselves that we want to explore together. It keeps things fresh. Curvey has some little, some slave, a bit of masochist: many different flavors of her submission. On the men’s side, we’ve got Masters, Dominants, Primals, Alphas, betas, Cucks, the Pill guys (Red, Blue, Black, Purple)… the entire gamut of labels. We men are mixtures of many of these just like our ladies. Identifying with just one isn’t too realistic. If I had to choose one, maybe I’m just a D/s Pill guy? That’s as good as any I suppose. But I’m more than a label, even if it’s one I just made up. I love to include a pic in my posts. 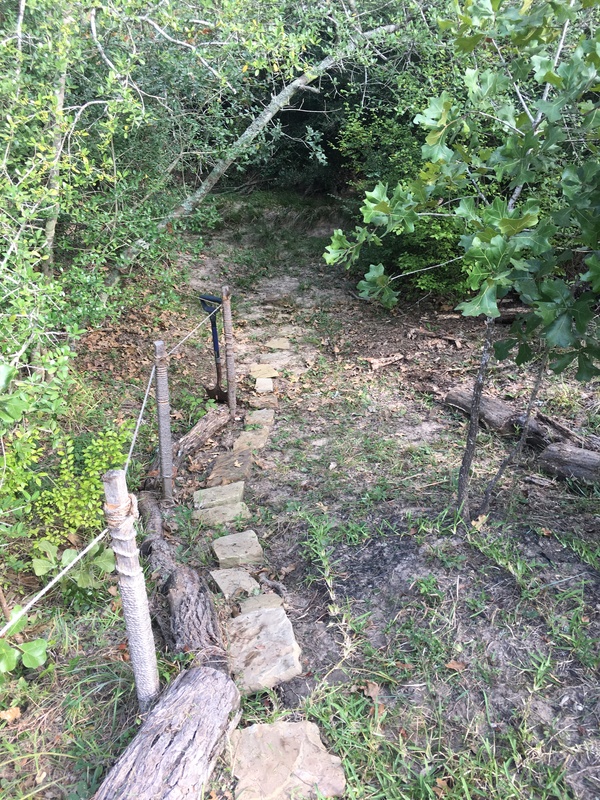 We have a path that leads down to the creek behind the house. I installed some steps and a thin rope as a handhold. She told everyone it was for the grandkids. It was very much for curvey herself. She loves to go down there and feed the birds, watch for the raccoons and laugh when all the frogs jump and explode the water’s tranquil surface. It’s her little escape, her magic kingdom, her Fern Gully. I keep it cut back and make sure all is navigatable. I do it because it makes her happy and calms her. It feeds her. Encourage your girl to explore her inner flavors. It can be a tremendous amount of fun.